Never heard of it? No wonder! 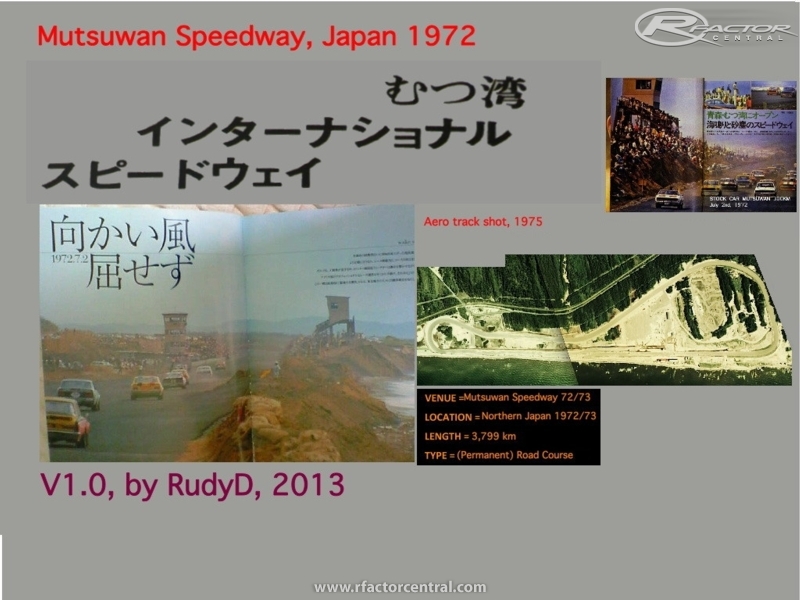 It was a real-life track in Japan built in 1972, but lasted only 10 races or so. The idea was apparently to do a high-speed permanent circuit in the style of the American Nascar and speedway road races, with at least its first corner banked around 10 per cent or so. Length was about 3,8 km (sometimes listed on some websites as 4,5 km but satellite photos and accompanying Google/and Bing maps pedometers clearly point out the shorter distance). It was located on the far northern end of Japan's main island of Honshu near the beach, and going to be one of the highest, if not the highest-speed road track in the land. (Later Google Maps came along, which confirmed the location and track shape, but by that time most of it had already gone and washed away so the 1975 photo was more accurate. The only other real indication this track ever existed was one or two photos in car magazines, showing a view of the control towers and the main straight. *That's only the main lot of documentation available, so there's not a lot of detail in this track, unfortunately*. It had it's own kart track on the infield and from the 1975 picture it can kinda be seen where the trees were a few years earlier when the track would still have been in use, but that's about it. 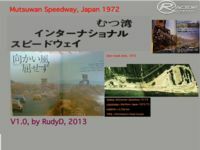 Nevertheless, this virtual recreation of Mutsuwan was made in 2013, mainly for rFactor (and also for GTL) and freely available to spread for everyone and drive for all. Conversions of this track are expressly allowed, as long as proper credit is given. 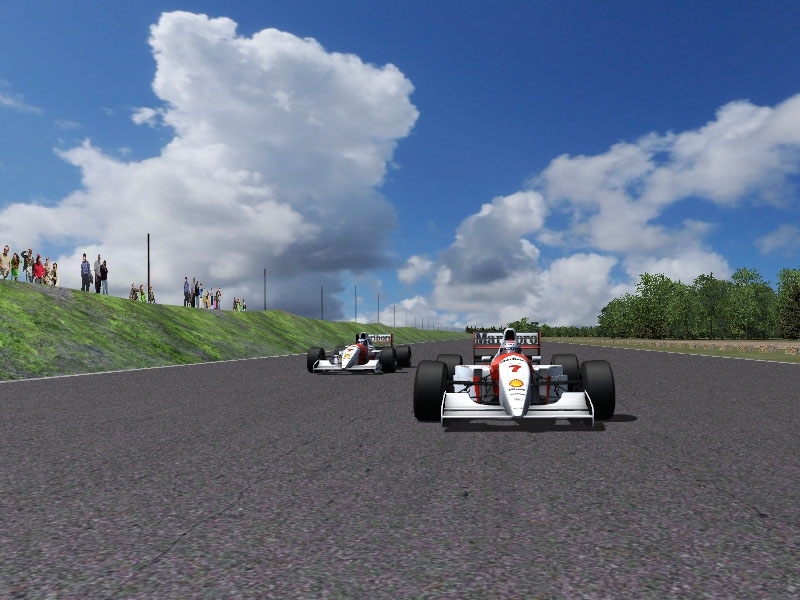 The track was mainly developed and tested for rFactor (running on a Mac) and also for GTL. That is to say, here's also a version for GTR2 and maybe more variants for other sims will appear not too long after the rF version, ready for conversion. At this time, apart from the rF and GTL versions the other versions for GTR2 were not exhaustively tested (only a quick check to see if it would run in these sims) because doing all those additional versions would cause me to make and test four different versions of the track, which is a bit much. So I'll plan to pack the extra versions up in an archive, leave it on the Internet somewhere and leave any new versions up to the converters. 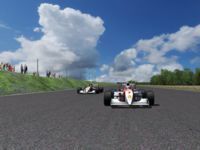 Tests were mainly done using mods as Plickbadger's Spec Miata, Vintage Formula Vee, the GTL Tc-65 sports cars, default GTR2 sports cars (mainly Elise) Vintage Formula Ford, rF Caterham, and other lower-powered mods. To install, extract and copy the track folder to your rFactor, GTL, (and if so wished GTR2)\GameData\Locations\ folder. Ignore any MacOSX folders, they're a byproduct of the Mac file system. If you'd like the AI to speed up or slow down a bit, raise or lower the Worst/Mid/Bestadjust values in the .aiw file (in the track folder) by about 0.2 at first and experiment a bit until you're happy with it. Especially in GTL and GTR2 it's not always easy to get consistent AI behaviour, but it should help becoming the computer opponents a bit adjusting to your driving style and speed. I hope to release it so that people will be able to make their own improvements and additions later on. As a result of this "GNU GPL-style" kind of release, people who make new versions should release their new add-ons to the public as well, though. This track or its conversions may not be sold for profit without permission. - Known issues: The AI may not be setup that well for long(er) races, I tested them mainly during short ones, without pit stops. - Also, haven't included Rain or Night versions (but feel free to add those if you are able to - see conditions above). - The dudes and dudettes at Racedepartment.com for Xpacks (Barbje_Keller, Parlesportes, Jay_P666, Ennisfargis et al) and for helping out. There are currently no setups for Mutsuwan. Add a Setup. GREAT TRACK - GREAT WORK CONGRATULATION! Interesting, if serio-comic, history...but why does the illustration show a perfect oval? The video shows a traditional road course, with lefts and rights.